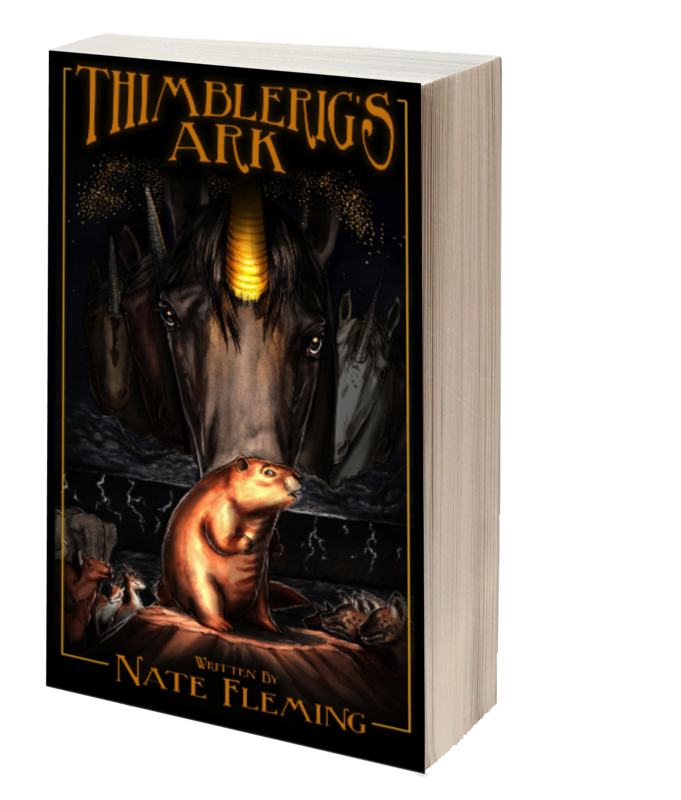 Nate Fleming’s Narnia-ish/Genesis-ish book, Thimblerig’s Ark, is available for free on the Amazon Kindle side for the next couple of days. I was supposed to read it a long time ago, and now I wound up spiking that little plan right about the time I also took a months-long hiatus from blogging. I’ll get my review up here soon. I am such an abject schizo when it comes to reading. I apologize for that. One minute I’m reading about Auschwitz (and still am), and the next I’m literally compelled back down the Lewis Carroll rabbit hole. I have my reasons. As do many people who also appear overly-wieldy and wracked with ambivalence and prevarication. And go see Nate, while you’re at it. This entry was posted in Blogging, Books, Reading, Writing and tagged Nate Fleming, novel writing, reviews, thimblerig's ark. Bookmark the permalink. Thanks, Ron! I really appreciate that you wrote this in support of Thimblerig. Meanwhile, I’ll look forward to hearing your thoughts when you have the chance to read it!